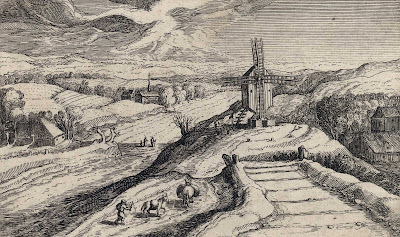 “Landscape with a Windmill”, 1614, after Matthijs Bril (c.1550–83), published by Hendrick Hondius I (1573–1650) in “Topographia Variarum Regionum” (Various topographical views) (1613/14). Note: the Rijksmuseum seems to have made an error by describing this print as after the design of Josse van Liere (1500/20–1583) (see RP-P-1885-A-8900). 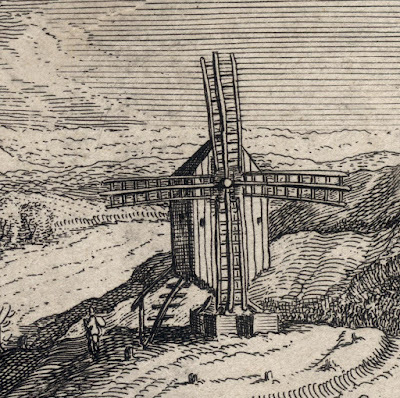 Van Liere’s name is not mentioned in the BM’s description of the print (see 1947,0319.7.19) and only Bril’s name is lettered in the publication details on the plate. 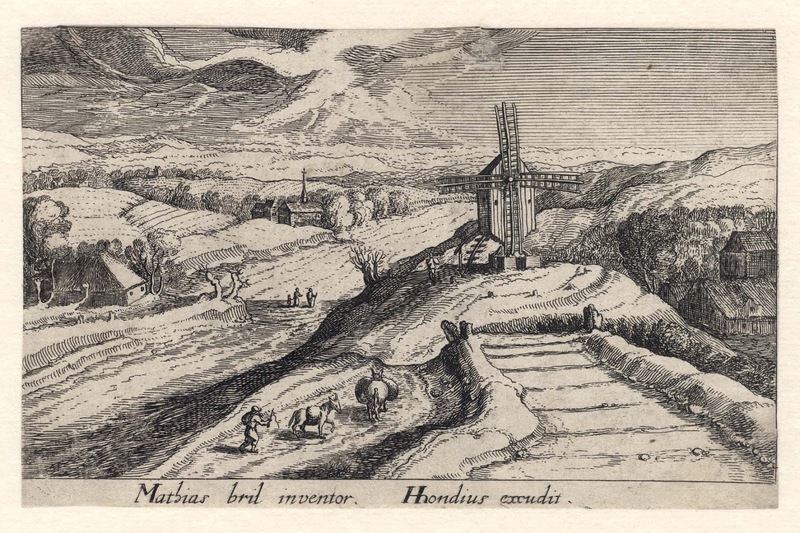 Nevertheless, Van Liere did design at least one other print in the series. 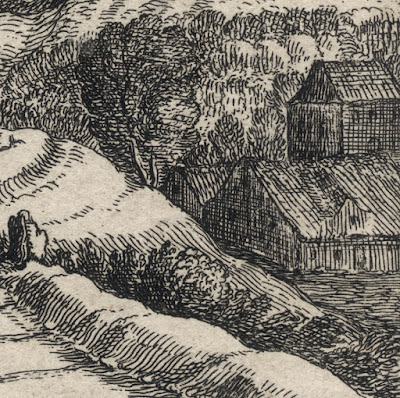 Etching on fine paper (presumably laid paper as this is a first state impression, but the chainlines are not evident—perhaps an Oriental paper as was sometimes employed by Rembrandt?) trimmed irregularly at or within the image borderline and lined with a support sheet. State i (of ii) before the addition of the plate number signifying the second state (see the second state impression held by the Rijksmuseum: item no. RP-P-1885-A-8900). Condition: crisp and well-printed lifetime/first state impression, trimmed irregularly at, or slightly within, the image borderline and backed with a support sheet of archival (millennium quality) washi paper. 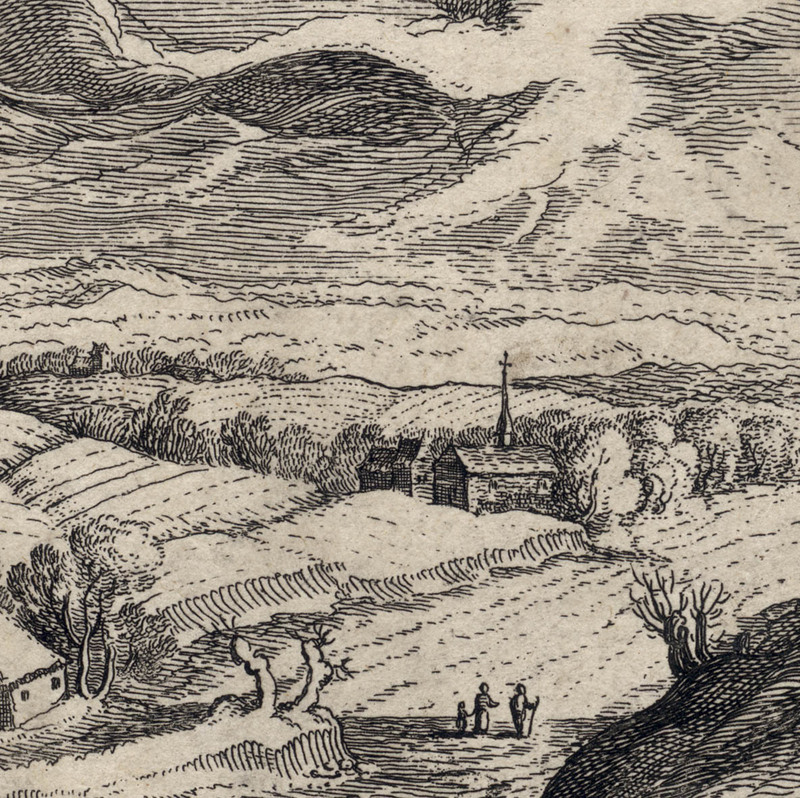 The upper-left corner has been restored as has a small section of the cloud, otherwise the sheet is in excellent condition. I am selling this small but remarkable etching for the total cost of AU$242 (currently US$183.33/EUR150.68/GBP131.36 at the time of posting this) including postage and handling to anywhere in the world. Frisius’ technical achievements are well documented, such as his skill in emulating the effect of engraving using only the etched lines in his copy manuals for student calligraphers (see Clifford S Ackley  in “Printmaking in the Age of Rembrandt”, p. 48). From a personal standpoint, however, what I find engaging in looking at Frisius’ landscape prints—and this particular image is a perfect example—is the artist’s skill in creating very subjective personal experiences of landscape rather than objective representations. For example, I see Frisius’ treatment of the clouds as wildly expressive to the extent that the clouds seem moulded into menacing forms. 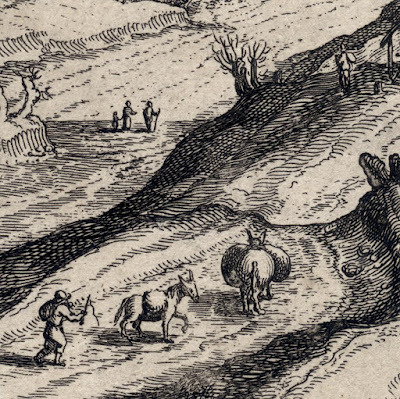 Note also the artist’s focus on angled landforms, such as the edge mounds of the road leading from the foreground and the silhouette edges of the undulating terrain. 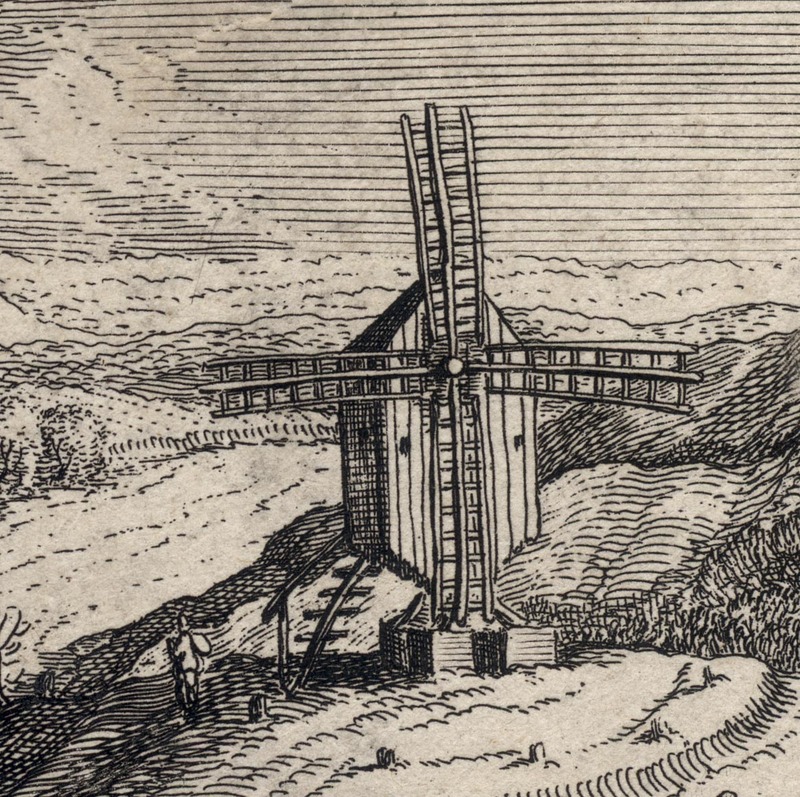 To my eyes these angled forms project a feeling of unease as if the angled lines were an analogue of a troubled mind set against, and complemented by, the horizontal and vertical lines of the windmill’s sails.